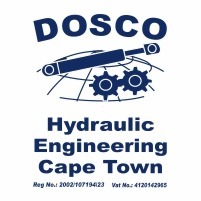 We at DOSCO Hydraulic Engineering pride ourselves in offering a personalized service with a quick turn-around time and quality of the highest standards. We offer our hydraulic engineering expertise in the following fields: marine, fishing, earthmoving, mining, injection moulding and mobile concrete industries. We conduct repairs and remanufacture to OEM specifications on the following products, the brands for which we are agents. Rexroth, Brueinghaus, Hydromatic, Bosch, Uchida, Vickers, Parker, Commercial, Caterpillar, Komatsu, Liebherr, Volvo, Bell, Grove and Hitachi. We have the knowledge and infrastructure to repair or manufacture any hydraulic and pneumatic cylinders to OEM specifications. We offer the complete design and manufacture of any cylinders from start to finish. Tags: Official distributors for: Kawasaki, Staffa, Gear Pump Manufactures, Waloil, Casappa, Linde, Yuken, Oilgear and Norgren Pneumatics; Spares and repairs for: Rexroth, Sunstrand, Bosch, Vickers, Parker, Commercial, Brueinghaus, Hydromatic, Uchida, Poclain, Caterpillar, Komatsu, Liebherr, Hitachi, Volvo, Bell, JCB and Grove; hydraulic engineering.